Join us at The Runway's One Year Celebration! 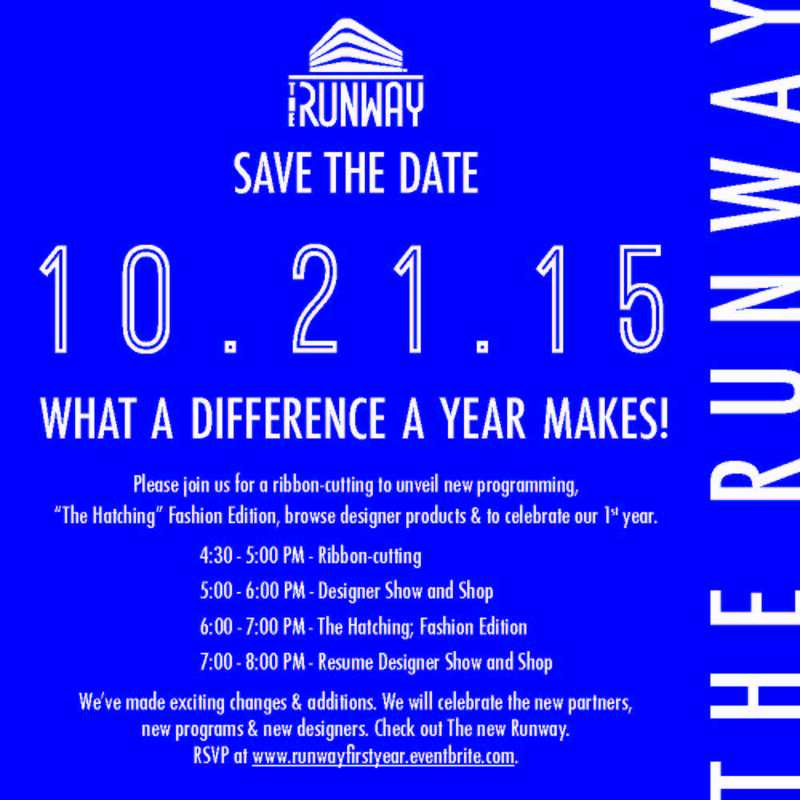 The Runway is hosting a one-year celebration on Oct. 21. At 4:30 p.m., there will be a ribbon-cutting to unveil new programming, you will be able to browse and buy designer products and meet the designers, and at 6:00 p.m. the first ever Fashion Edition of "The Hatching." Hope to see you on the 21st! Be sure to RSVP for the event here.